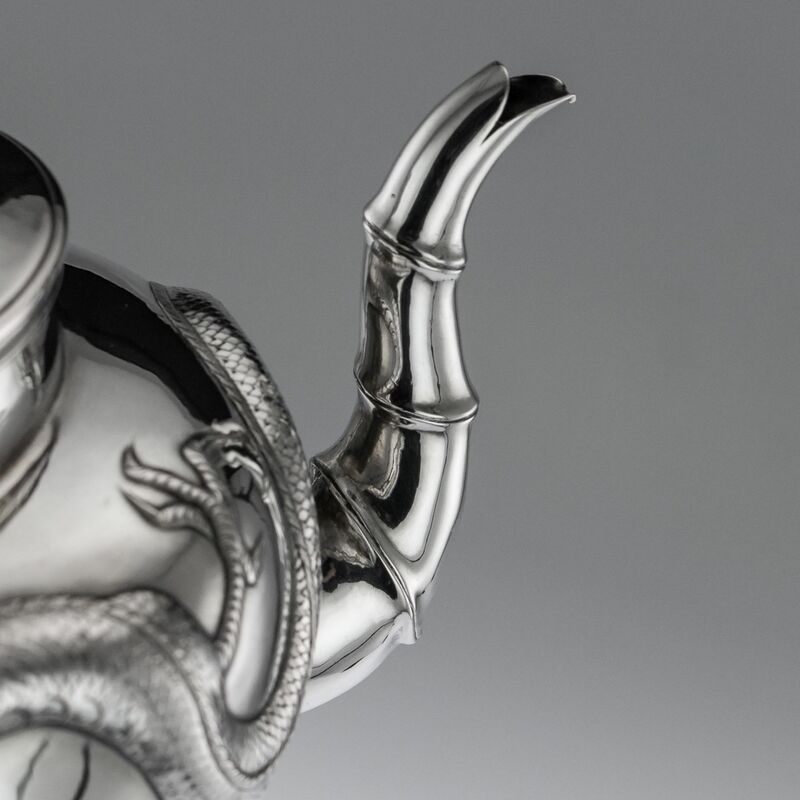 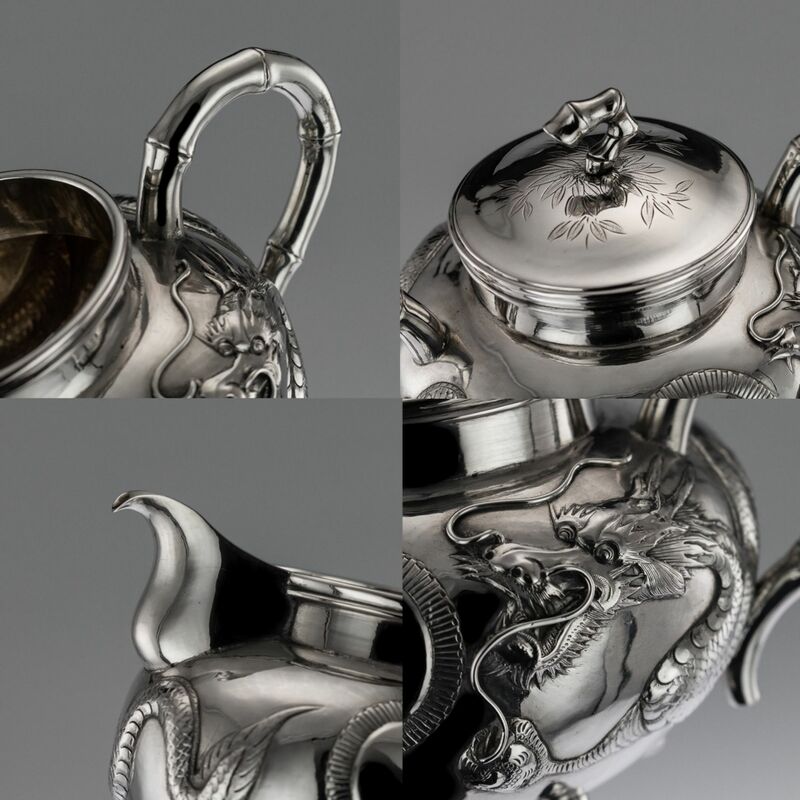 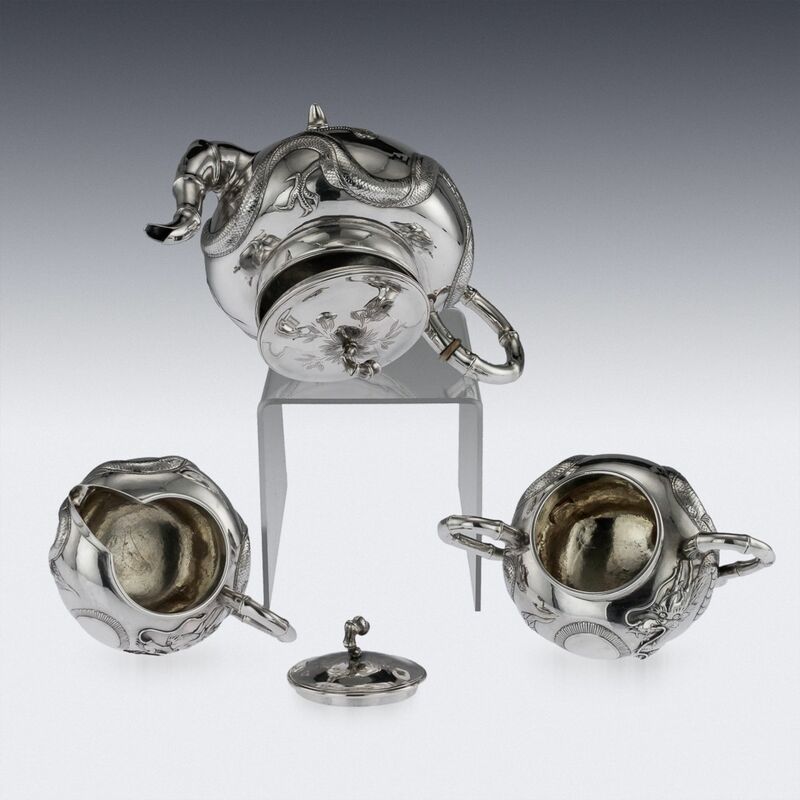 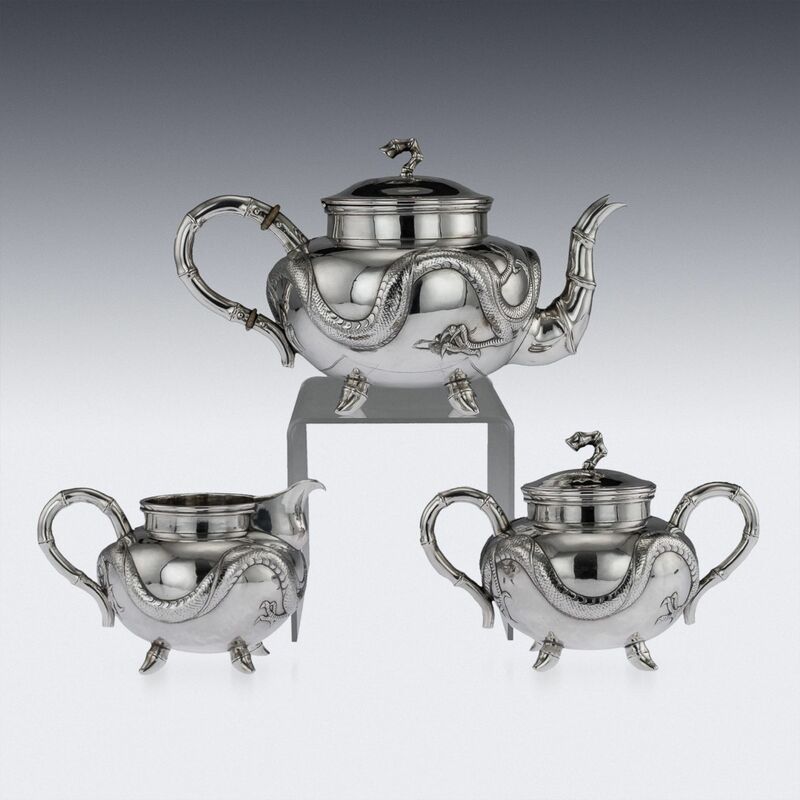 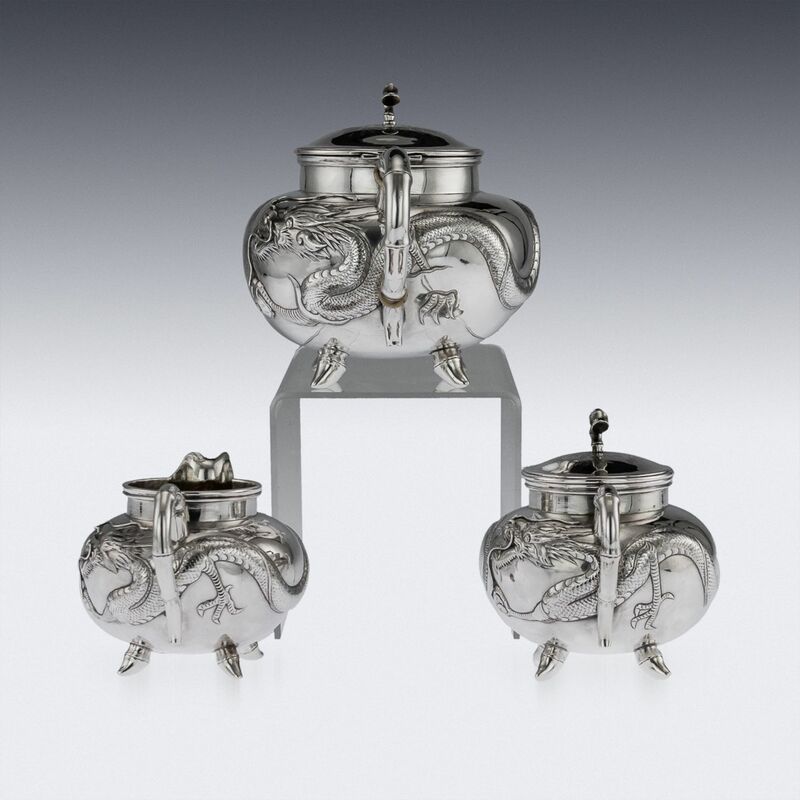 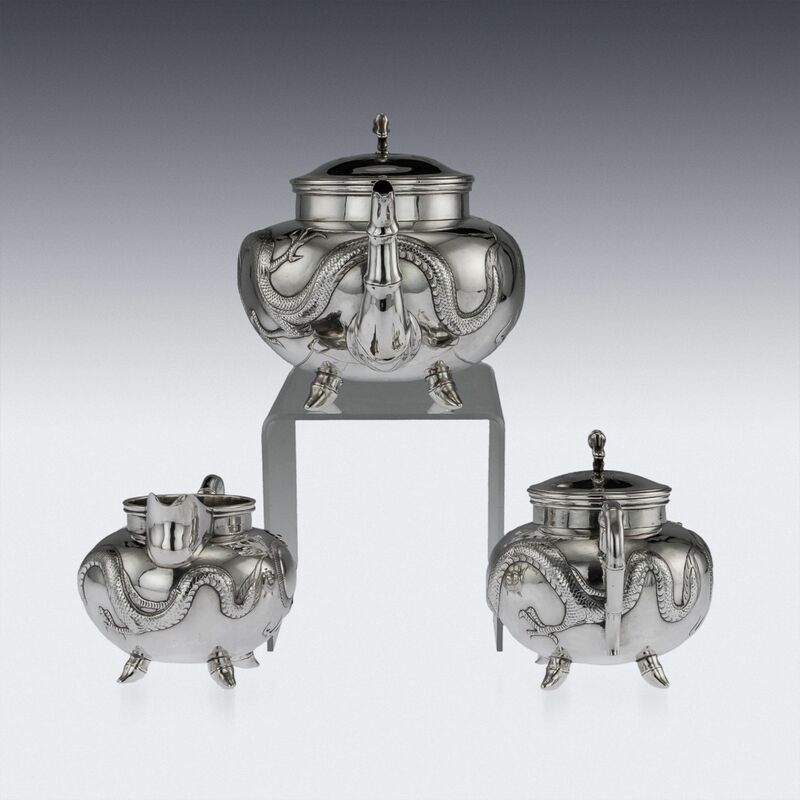 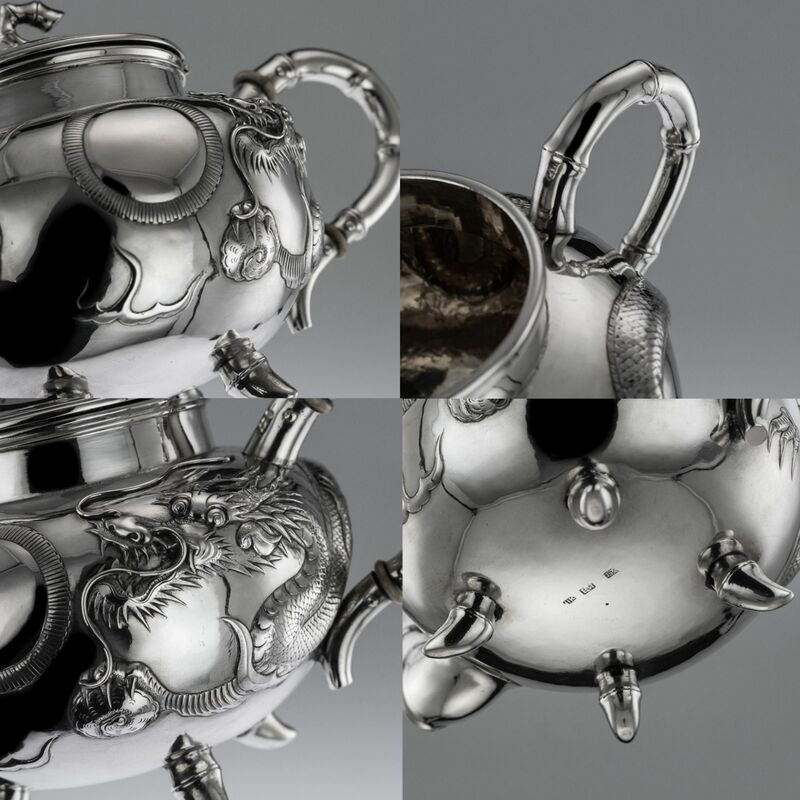 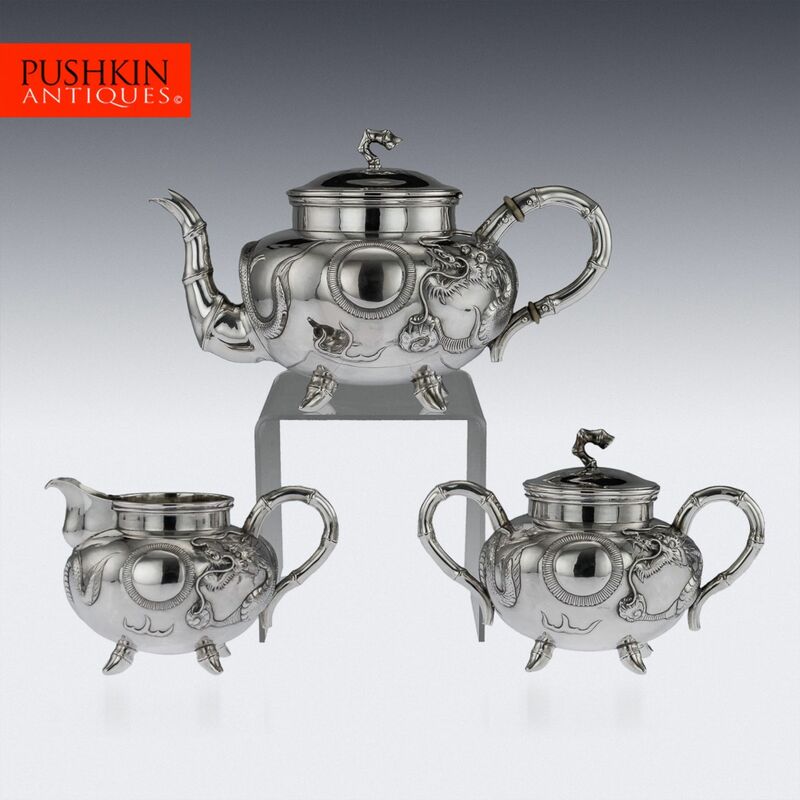 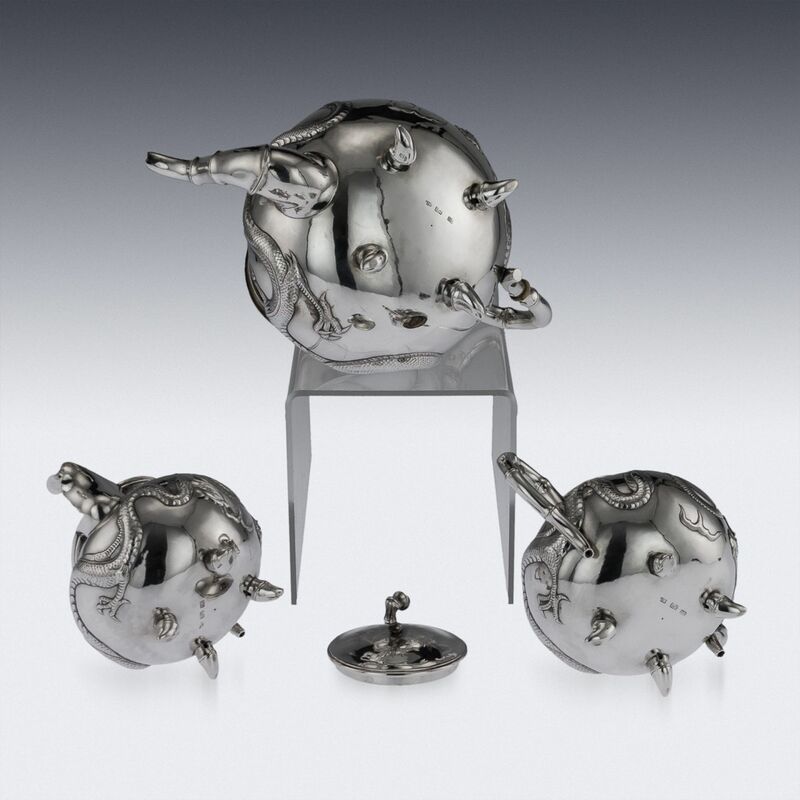 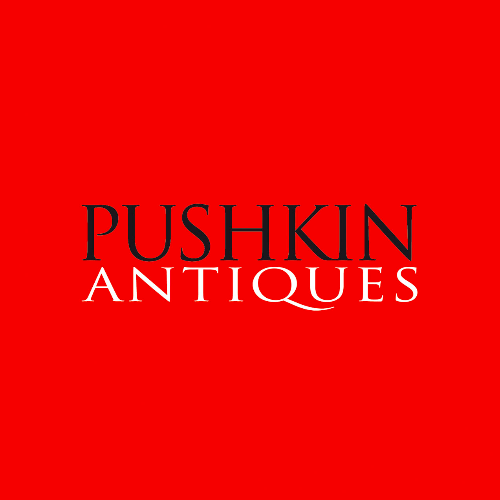 Antique early 20th Century Chinese export solid silver three piece tea set, comprising of teapot, sugar bowl and milk jug, each spherical body applied with dragons in relief, spout, handle and feet modelled as a bamboo branch and richly parcel gilt interior. 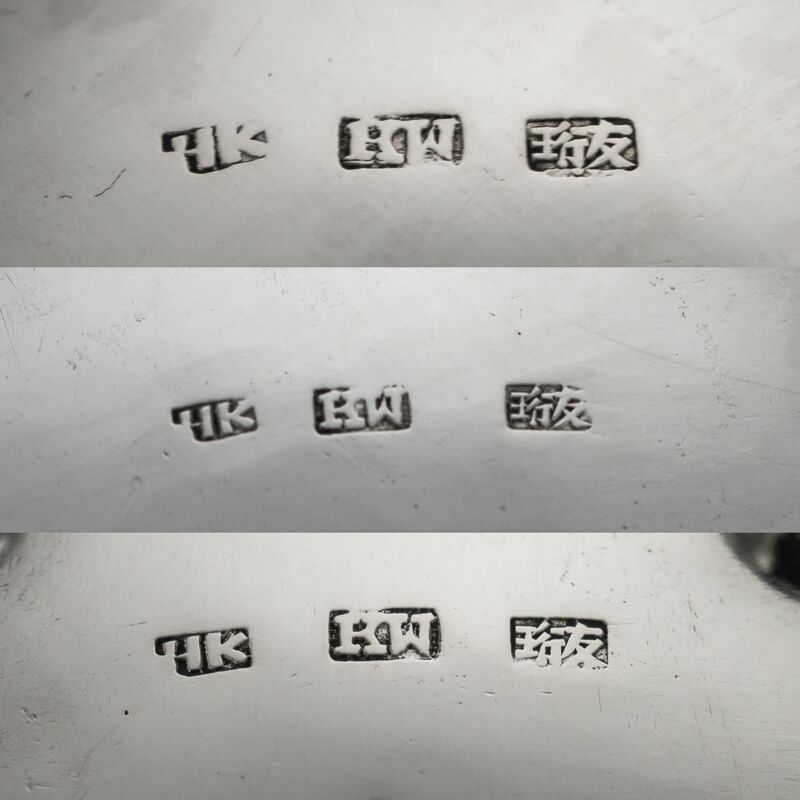 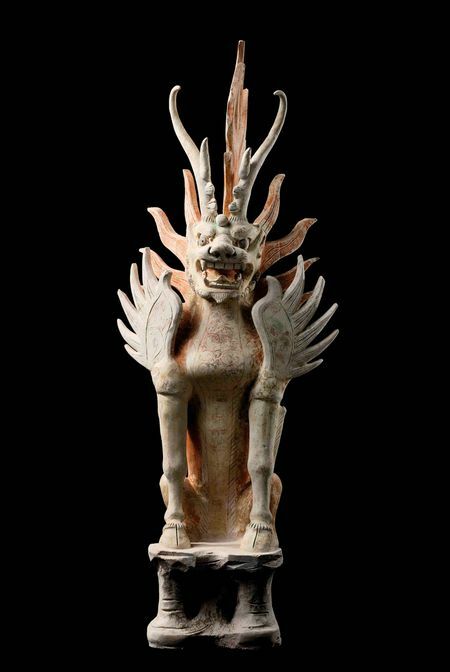 Hallmarked Chinese Export (tested 900 standard), Canton & Hong Kong, Maker's mark KW for Kwan Wo (active 1875-1940), for more information please see A. 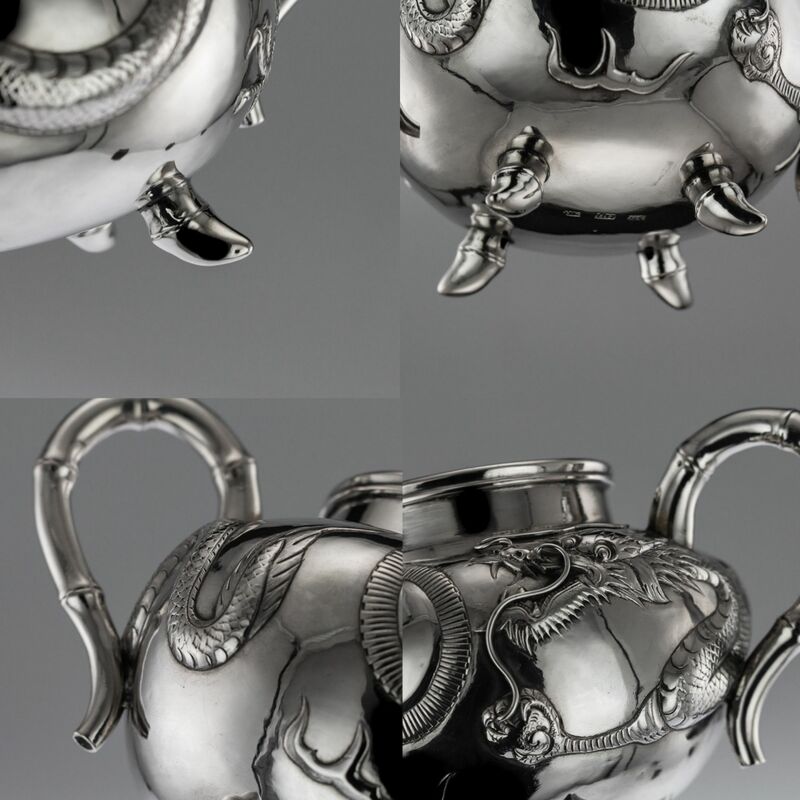 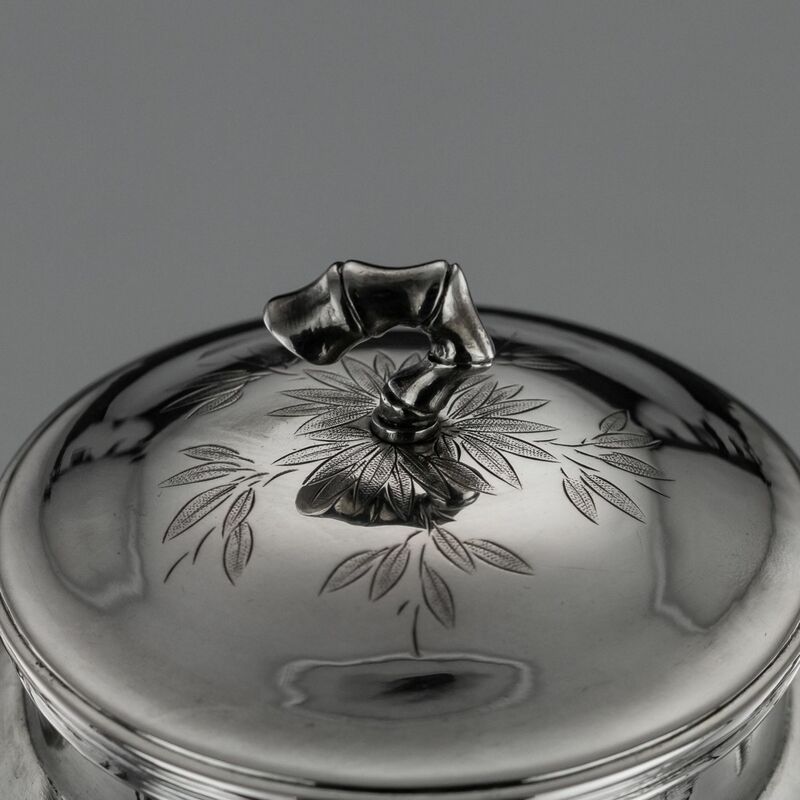 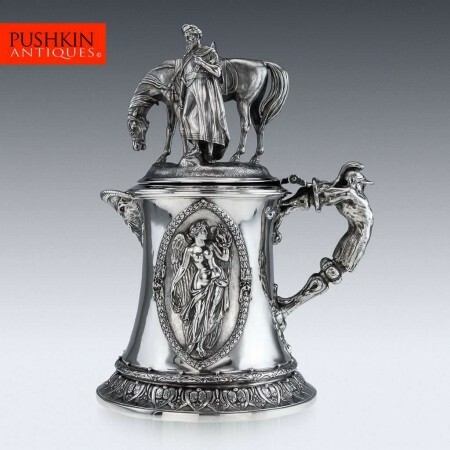 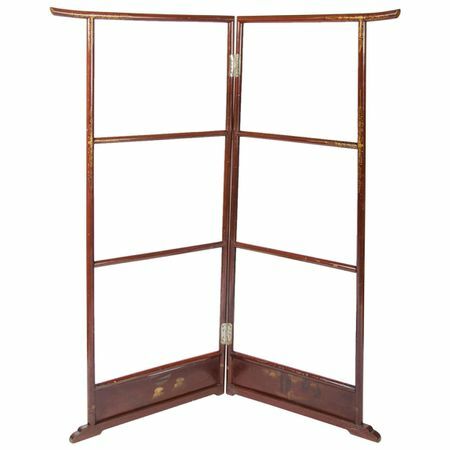 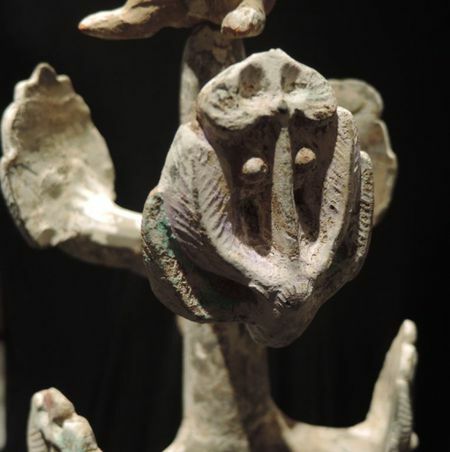 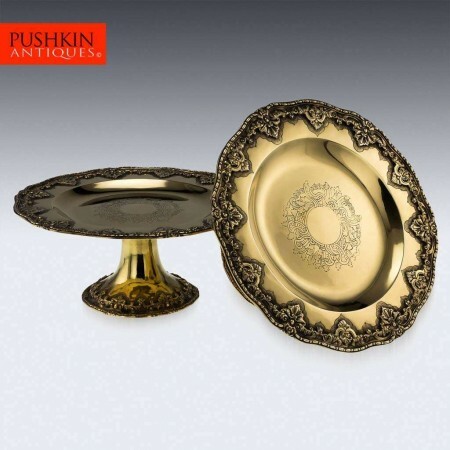 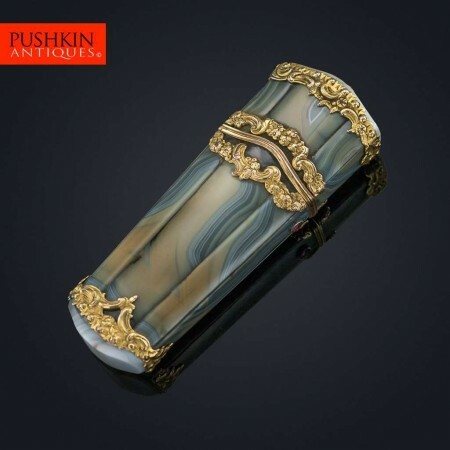 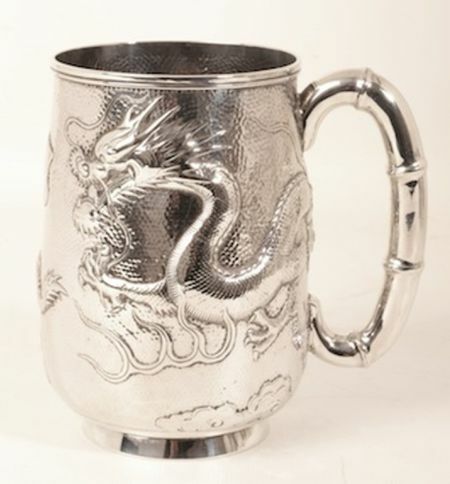 Von Ferscht, Chinese Export Silver 1785-1940, 4th edition 2015, page 418.